Hail and well met, travelers! Come, rest your weary feat at our fire as we regale you with stories of our time spent in the world of Skyrim! 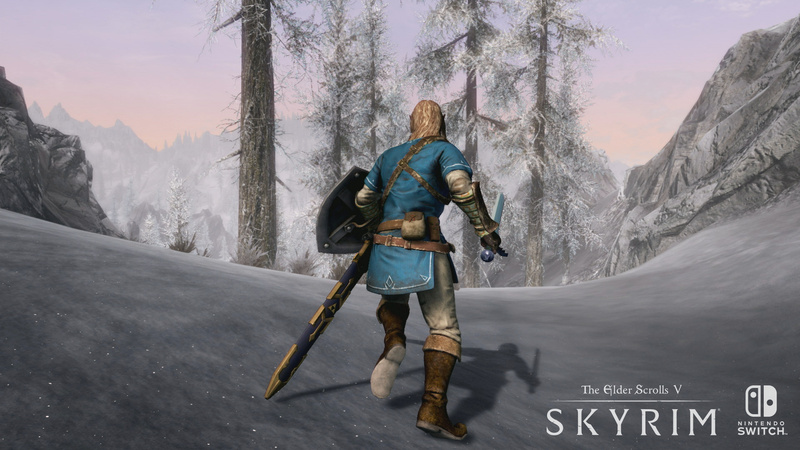 You maybe be inclined to ask, “but noble bard, wasn’t Skyrim released over half a decade ago?”, and you wouldn’t be too far off - but this, dear friends, is Skyrim on Nintendo Switch. A version of the classic that can travel just as much as you do! Early in the morning on the first Friday of PAX, Nintendo spirited us away to its secret room situated high above the show floor. It was here that we were given our first hands-on experience with The Elder Scrolls V: Skyrim for Nintendo Switch, and it was in this clandestine meeting that we were reminded of how vast and unforgiving the fantasy world truly is. Our time there was brief, but it was long enough to reacquaint ourselves and feel the excitement of a world yet unexplored. Our journey started in medias res, with a Nintendo rep handing us a controller and basically saying "good luck." Thankfully we had an in-game guide to lead us through the hostile environment and assist in a skirmish against some unfriendly wolves. We found a village, talked to some locals, shot some arrows at unsuspecting bystanders, and even got to test gravity and our ability to take fall damage by jumping off the side of a cliff. All of the usual activities in which one might partake while playing an Elder Scrolls title. Becoming acquainted with the controls took some time, but they felt natural on the Switch Joy-Con grip controller once we found our bearings. Not unlike The Legend of Zelda: Breath of the Wild, your character is capable of quite a bit in Skyrim and there are decidedly complex controls to go along with that, but it felt right once we got into the action. While still on the big screen, we had a quick chance to try out the motion controls that had been implemented for this latest release. The motion tracking worked well during hand-to-hand combat, and swinging a mace and casting spells by waving our arms was surprisingly fun, no matter how silly we felt doing it in a room full of video game professionals. Aiming arrows with motion controls, on the other hand, felt cumbersome and flawed. No matter how we positioned ourselves we couldn't make sense of the aiming mechanic, but it was unclear whether this was at the fault of the motion tracking, or if it was simply something that we couldn't quite grasp during our short time with the game. We're hoping that this can be chalked up to user error or that it's something that will be sorted out in the final release, but the fact that it wasn't immediately intuitive could be sign enough that the whole mechanic is flawed. We also had a quick chance to play in handheld mode, this time making use of the Switch's gyroscope to aim our arrows, and we found that this approach worked much better than the full motion controls. It's also worth noting that the game looks great on the small screen as well as the television, with no immediately notable drops in frame rate or resolution. The other Switch specific feature that we saw in action was amiibo support. After a failed attempt at navigating menus and performing the wrong actions, we eventually found the amiibo spell and tapped Samus Aran to our Joy-Con. Samus was gracious enough to summon a chest into the game, but it was only full of food and other basic supplies rather than the Nintendo-themed goodies that we were hoping to see. For Switch owners who are still coming down from the high of Breath of the Wild and want to keep the momentum, Skyrim is a solid next step. It shares certain elements with Link's open world adventure, ensuring that you could find common threads between the two, but they are two very different games in essential ways. Whereas Breath of the Wild feels like a fresh world to explore and make your own, Skyrim revels in the fact that your character is just one of many existing in a world that already abides by an established set of rules. In Breath of the Wild, you could choose to take on quests or ignore them completely depending on your level of interest or the incentive for helping out a stranger, but the environment remains static no matter what stance you take. It's a world set in its predetermined morality with Link remaining the hero no matter who he may or may not decide to help. In Skyrim, on the other hand, your decisions carry weight to them. Enter a village with your weapons drawn and you may be perceived as a threat; offer to help a pedestrian in need and you could become a town's hero. It encourages exploration and wants its players to make their own decisions, but there are constant reminders that those decisions also carry with them consequences that can alter the way you play. Skyrim may not offer the same freedoms that define Breath of the Wild, but it does a better job of making you feel like your decisions matter. To be completely honest, there isn't much that we can say about Skyrim that hasn't already been said since it was originally released back in 2011. From what we experienced, not much has changed since the title’s initial release, and this definitely felt like we can expect a full version of the game – not a stripped down port. To that end, it felt really good to play on Nintendo Switch, and who hasn't dreamed of a world in which we can play Skyrim on the go? First day buy, since I'm one of the two people who have never played this game in any way, shape, or form. There's actually three of us! Now 4. But I won't be buying it day 1. I'll get it at some point if it's a good port. I maybe played 15 minutes after renting it during a Gamefly trial years ago. So I'm looking forward to giving it a proper try. #6 here. This'll be interesting to try. Not played it either. Umm...not sure what number I am. Great game. Potentially my favorite game ever. Wait there is a press-exclusive Nintendo room at PAX?? Crap. If only I knew so I could've visited it. @legendwaker im with you never played it but cant wait to play it the best way possible on the nintendo switch and play it anytime anywhere. 11th not to have played this game, but I'm planning to! One of my favorite games of all time. It's been long enough that I'm very excited to dive back in and get myself reacquainted with the game's wonderful world. I hope this does well so that I can get Fallout on Switch. I'll nab it at some point (not at launch, though). Not gaga about Bethesda games, but I'm definitely glad they're supporting the Switch with a well-optimized port of one of their most notable releases. Good to hear the gyroscopic aiming is decent, as that is really all I cared about regarding motion controls. Despite all it's silly performance issues, broken physics, million glitches, clunky mechanics, dumb UI choices and throwaway main plot, Skyrim is an absolute gem of a game for having the all important ingredient: FUN. I am jealous of those who have yet to play it, it's a blast. Never played it before, so this should be a real treat. Another one who's never played it here. Can't wait for this. Hopefully it sells well and encourages more ports. I'm going to go out on a limb and claim #64 in the list of people who've not played this in any form. Played it to death on PS3 so I don't really need to play it again. Wake me up when Skyrim 2 comes. I... have played the first 30 minutes of this before my Xbox360 was stolen, but otherwise I'll claim #386 of people who've never really played this yet. Finish it on Xbox 360 but want to finish it again on Switch with motion control!! Glad there is new content for Nintendo console too. All the mods will be welcome, dont forget them Bestesda!! I will probably pick this up at some point for PORTABLE SKYRIM!!!! AHHHH!!!! sorry... ehem, I do need to wrap my current play through of BS Bruma, then get around to land of the Nords. Haven't played it before... Not sure yet if I will. We'll see. I never dreamed of it. Meh, if this was 19.99 like the Okami HD announcement - sure. But $60 dollars, they crazy. 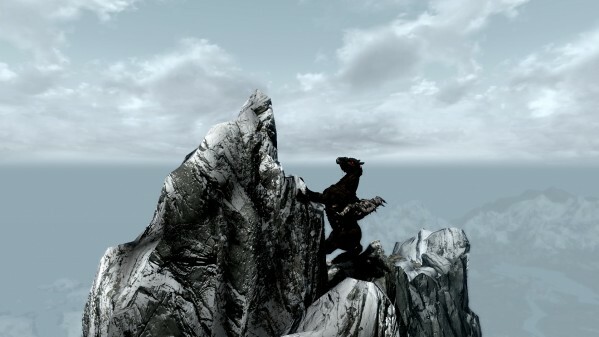 If you want to defy gravity in Skyrim all you have to do is ride a horse and jump up the side of a sheer cliff. Or get hit by a giant. Day 1. I'm positive we will get a release date in tomorrow's Direct. This will be my first play of the game as well and it's a day 1 buy for me. "We also had a quick chance to play in handheld mode, this time making use of the Switch's gyroscope to aim our arrows, and we found that this approach worked much better than the full motion controls." Sold! Though I won't pay 70€ for it. I hope it's just a placeholder price. Thanks for the info on gyro @Ron_DelVillano! I own it on PS3, think I played it for about 30 minutes but I could be wrong. Oh, I actually only bought it after hearing the music in a Minecraft DLC pack. The music was that good. So I may play it on PS3 when it releases on Switch, can't imagine it's $60 better, though I know the PS3 version has serious issues. Looking forward to a trailer ending with a date tomorrow night. I've only played some Morrowind before (on PC back when I still had time for PC games) and more recently some TES Online via Vita; I suppose the latter may feel more like Skyrim. "We also had a quick chance to play in handheld mode, this time making use of the Switch's gyroscope to aim our arrows, and we found that this approach worked much better than the full motion controls"
Then perhaps it's human factor indeed. I experienced the same awkwardness going through aiming with JCs vs aiming "with the whole handheld unit" in BotW as well; I guess the latter really feel more intuitive. How are the graphics, are they closer to the original release or the recent release? Also, is the game plagued with long load times? @DerangedSpaniard From videos that many people have done, including Gamexplain and IGN, the graphics are much closer to the Special Edition version of the game, as you can see what looks to be the same (or close enough to it) versions of the completely redone shaders and effects which they showed off in comparison videos when the Special Edition was first coming out. As for load times, they seem pretty short, even if they are longer than the PS4/XboxOne/PC versions. Gamexplain's video had a loading screen for about 9 seconds while it loaded the dungeon they were going into. I'm looking forward to this at some point (whenever I have a Switch to play it on). I've never played it either. I've played it before. I'll probably get it next year. Kinda tapped out after next week until Odyssey and Rocket League. I'm in two minds on whether to pick this up. Since I played it already on PC. Though I don't think I picked up any of the expansions or extra content, so if this version has everything packed into it I guess it may be worth buying again. Another reason I'm unsure is that I don't know how I'd get the time to play it alongside Breath of the Wild, Odyssey and Xenoblade 2. So many awesome (and big) games coming out. Person #9001 who hasn't played this yet reporting in. Hm.... game from 2011... cool I guess. is it the definitive edition with all DLC and upgraded graphics or the "plain" version? I never played it but I'm still OD'd on it. This game bored me to tears on my 360- cumbersome controls, glitches galore and long empty expanses are all I remember, to be fair though I never gave it my undivided attention. 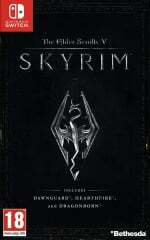 I may have to pick up this version and give it another go..
Skyrim can be played on a laptop and also with mod support. It's much more portable as a Switch game but I mean...laptop+steam sale skyrim+mod support=better time imo. Ah who am I kidding? Switch all the way! I'm the Nth who hasn't played it! It does indeed have all 3 expansions packed in, and the graphics, while obviously not matching the output of power consoles, does look close to the special edition, and a far cry from the OG release. So it seems the game looks as good as is realistically possible on the system, which, that's all you can ask for really. Sweet I've bought a massive game guide which was hard to get through the door btw! All in preparation for this game. Never played it thought it was too big but to have it portable is gonna be a big help. I cannot wait!!!!! I'm one of the few who has never played Skyrim on any other platform so I'm excited for my first playthrough of the game to be on my Switch. Please remaster Morrowind + expansions and port to Switch. Amongst a dream, Azura summoned me to post here for this most vital cause and in honor of Nerevar. I've put more hours into this game than any other one, by far. So I'm really jealous of those that'll be playing it for the first time. That said, I'm probably not going to pick it up on Switch unless I find it on sale some point down the road, seeing as I already bought the SE for PS4 somewhat recently. Hopefully the Pro Controller gyro aiming works like the handheld mode. The BotW aiming mechanic is sweet. Needs mod support as well, if only to iron out the game breaking bugs with the unofficial patch. Love the thought of it on Switch, might mean I actually see it through to the end this time, but the price is a bit ridiculous. However I was spoiled by picking it up the GOTY edition on Steam for a fiver yonks ago (got ~20 hours in before GTA V took over), and by the generous free upgrade to the remastered version (~35 hours in before Fallout 4 took over). It is an entertaining, immersive and absolutely massive game though and I really should get back to it. After Master Mode. After Mario Odyssey. After... oh you get the picture. Edit: I'll miss messing with the tilde activated dev console commands as well. thanks, bro! yeah that would def meet expectations for me. @ACK Indeed, Skyrim was much better than Oblivion (can't stand that game...shudder) but the definitive Elder Scrolls game is Morrowind! I have also never played this game.I looks interesting. Really hope fallout 4 roumors are true!!!!!! Memetastic. Depend on when it comes out and how many games I am waiting on playing, I might pick it up at some point. 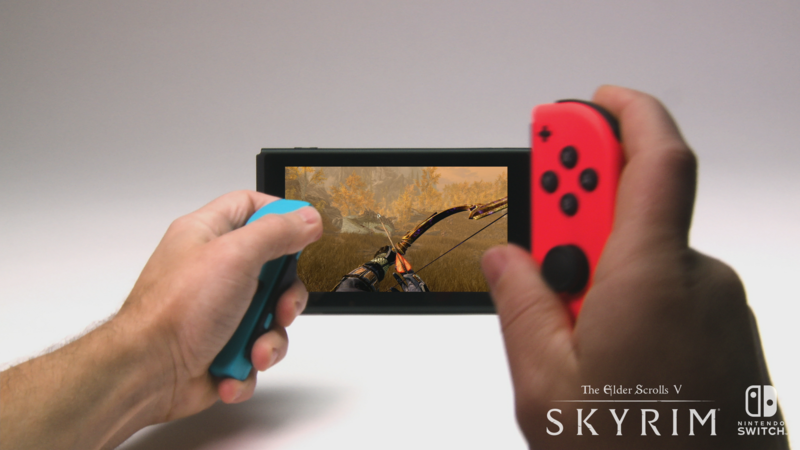 "who hasn't dreamed of a world in which we can play Skyrim on the go?" Haven't played it either, was waiting for its eventual release on a Nintendo handheld. I'm ready. I have sunk around about 800 hours into the PC version. It will be nice to have this as a portable game. From what little I've played its a really good game, very well designed and atmospheric, and I've always meant to eventually get round to playing it properly, but it's a huge time commitment as it's so large and engrossing. I have several adult friend who have put years of their life into this game and don't regret it one bit! @GravyThief Basically they make absolutely huge games which are very open ended, and because of that they are difficult/expensive to playtest. The games are always quite glitchy to begin with (especially if you try and do weird stuff that the designers did not expect), but never fundamentally broken, and are regularly updated and patched up over time. The current PC version of Skyrim is really solid, as I imagine are the recent console releases, assuming they're based on the same code but with updates assets. One of the few (many? after reading the comments) that never played this game in any form. It'll be a nice time sinker after Breath of the Wild. Guess what? Yup, never played it. Can't wait for this! Hopefully we get a release date in tomorrow's Direct. It's still slated for Holiday 2017, last I checked. Another one here that has never played Skyrim.... And it looks interesting enough, so I'll get it when finances allow. I do wonder how bugs and glitches are in this version, since Bethseda's so famous for them. @KirbyTheVampire I'd maybe agree with that. this is probably how i'll finally play this, after hearing about the ps3 version being bad. Never played it, but don't plan on it, just not something that looks appealing/have time to invest in. But on another porting note, I am very much looking forward to L.A Noire! I still have my save file from years ago. There's still a lot of things I need to finish. It's good to be back. @legendwaker Oh my gosh I thought I was the only one! I played probably 20 hours on the Steam version. It's an incredible game. I'll def buy it for Switch and give it another go. Really hoping you can turn off all motion controls though. Really over that stuff. Never played it either, but looking forward to it. "no matter how silly we felt doing it in a room full of video game professionals"
My goodness. Imagine if it had been a room full of bankers! @legendwaker I'm right there with you! I haven't played Skyrim in any shape or form. After playing ZBOTW I am really about this style of game right now. I'm gonna buy this for sure! @SLIGEACH_EIRE Did someone you love leave you for a sailor? Only that could explain your extreme hatred of ports. I used to be a ps4 player like you , then i took a switch to the knee. Probably 100+ hours on PS3, closer to 600 hours on my PC right - and it will still be a day one buy for me. Love me some Skyrim! I have been planning my character to create one the Switch for about 6 months now. Meh. I wouldn't say decisions carry that much weight to them. You could murder a whole town and stroll in a few days later without the guards batting an eyelid. Never played. Won't be a day one purchase but will definitely pick it up at some point, probably after a price drop or 2. Had my fill of Skyrim when it first came out. Happy to give this a miss. 100%'d it on the PS3 but will buying it again. Looking forward to all the additional content (a lot seem to be forgetting about that). Not going to buy it again, I've already played it to death. But for those of you who are saying you haven't played it before, you're in for a real treat! I'd have loved to have had a portable version 6 years ago when I was addicted to it. With this and L.A. Noire, Nintendo gamers will be partying like they're non-Nintendo gamers in 2011 this holiday season. @legendwaker I came here to post pretty much the exact same thing! People can't believe I've never seen this game, let alone played it. I've only heard good things though, so I'm looking forward to getting stuck in. It's hilarious and sad that a western developer has beaten the Zelda team at level design — their damn ballpark — twice in a row now. Breath of the Wild only feels like Skyrim insofar as it's a high fantasy open world with physics-based 3D items. Everything else Skyrim has, it lacks. There seems to be quite a few people here who haven't played Skyrim in any form yet and I'll join that list. Probaply buying this for my Switch at some point. I've had this game 3 times and never got anywhere near the end. Now I am older and don't trade my systems in for other games so the Switch version will be with me for life. If I hadn't already put an insane amount of time into this game on Xbox I would definitely pick it up for Switch, if you are somehow one of those people who have never played it this is a must get. Skyrim on a Handheld is almost too good to be true. I wish this came out before BotW, after Zelda this game looks and feels dated. It's a good game but also an old game. ^^^ That's a new one, niiice. Still gets triggered by the song "Brandy" by Looking Glass. Maybe this might drive the hunger for a Dark Souls game on Switch. @Lone_Beagle Obviously I agree, Morrowind probably cracks my personal top ten if I'm honest. The world, the story, the music, the guilds, the sidequests, the freedom in character building... I could go on, but none of it was nearly as good in Skyrim and Oblivion. Really the only aspects those two have on Morrowind are overall size, graphics, and improved combat feel. Even then there is something about Morrowind's art and setting that I am particularly fond of. If a remaster could spiff up the graphics a bit and maybe include the better melee combat from Skyrim then we'd really have something. Unfortunately Bethesda thinks they can leverage Morrowind to get us to pay for Elder Scrolls Online... Making a remaster even less likely than the already miniscule odds. I fear that someone actually pitched a remaster do to fan requests and the marketing geniuses, who probably view ESO as their baby, see it as a way to save face by putting lipstick on a pig. One thing that bothered me in Skyrim was how rigid the controls felt. Fighting is just a huuuuge mess, even more on a horse. This was really a huge drawback (if you add the constant need to open your inventory to swallo potions, restore mana, etc). Any idea if the motion controls make this more fluid? @SLIGEACH_EIRE does that mean you have a switch?? Wahoo(imagine mario saying it)!